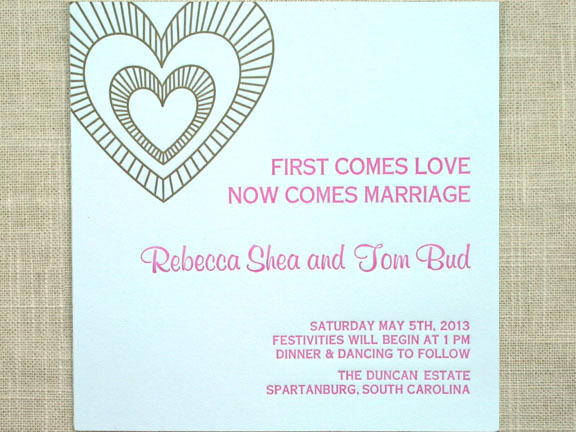 I have a new wedding invitation printed by letterpress…..featuring a sweet heart design! I couldn’t help it with this one! I wanted to create something really fun, light-hearted, pretty, and a little bit bold with a retro twist. Seen here printed on a light blue 100% cotton paper, I also printed it on white. What do you think? You can view more images on the Sofia Invitations and Prints Etsy page.